The testo 570-2 is a digital 4-way manifold gauge that combines the functions of all the old tools and measuring instruments it can so easily replace. The hvac manifold can measure, analyze and log – among other things – pressure, temperature, electricity and vacuum measurements. 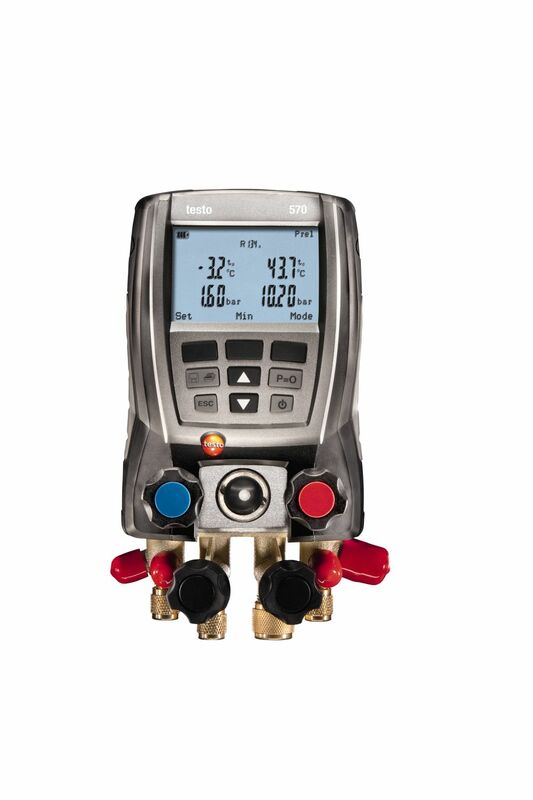 Purchasing the testo 570-1 digital manifold will ideally equip you to carry out quick, reliable measurements on refrigeration systems and heat pumps: carry out pressure, temperature, current and vacuum measurements as well as temperature-compensated tightness tests. Moreover, it calculates superheating and subcooling simultaneously.